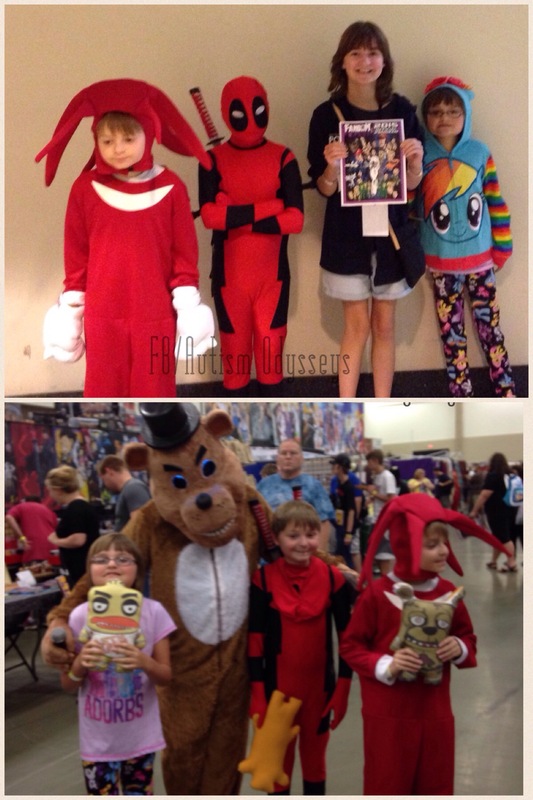 We have recently started attending comic conventions as a family after discovering that our kids (ages 9, 12, 12 and 14) really enjoyed them. For anyone considering attending a convention whether it is for comics, fandom, anime or video games, here are a few tips to help make the convention experience better for everyone. 1. Finding an event – until we started attending them, I had no idea there were so many conventions out there! A good source of information is Upcoming Cons. Most of the bigger conventions are on there, plus some of the smaller regional ones. You can also try googling your city and “comic convention” and see what comes up. I was surprised to find 2 smaller conventions in my hometown that we now have on the calendar. Wizard World conventions are held through the U.S. and while they may be costlier than others, they seem to be well organized. 2. Do your research – depending on the venue, there will be crowds, people in costumes (cosplay), vendor booths, panels and innumerable other events. You can often find videos of the convention you are considering on YouTube to watch with your child to gauge their interest in it. Many of the local conventions have Facebook groups to discuss the convention and disseminate information. I have found these groups to be invaluable in seeking feedback on aspects of the convention. I suggest also checking the event website or calling to find out what accommodations they have for special needs. It’s also a good idea to discuss the refund policy in the event you are not able to stay. I have found that many operate on a case by case basis as far as refunds go. 3. Consider your child – you are the best judge of whether your child might enjoy attending a convention. When considering autism and sensory processing issues, I have found that if my children WANT to be somewhere, they will cope with the sensory overload. If it’s somewhere they really do not wish to be (like the mall), the sensory overload reaches epic levels quickly. As I mentioned before, YouTube videos of conventions might help to gauge interest. 4. Trial Run – Check with your local book or comic book store to see if they have any events scheduled that provide the opportunity for your child to try their hand at cosplay in a smaller setting. Barnes and Noble have “Get Pop-Cultured” events happening during the summer at stores nationwide. This is my crew at one. 5. Celebrity Appearances – Guests can cancel their appearance! If you are communicating who is going to be there, I suggest using language like “supposed to be there” versus “will be there”. I learned this lesson the hard way at Louisville Fandomfest when we had tickets for 3 Doctor Who companions and the day before the convention began, the announcement came that 2 of the 3 would not be there. There was a similar occurrence with the Star Wars actors where only Carrie Fisher appeared. The news did not go over well but we made the best of it! 6. Go on the opening day – many conventions are more than one day (often Friday, Saturday & Sunday). The first day is typically the least crowded and provides a much more relaxed con experience. Admission lines are shorter, the vendor aisles are less crowded. We usually buy tickets for multiple days and use the first day as a “reconnaissance mission”. It’s the time we peruse the vendor booths, explore the layout and make sure all of our photo ops are in order (many cons require you to exchange your photo op ticket for a coupon – there is nothing worse than showing up to get in line only to be told you need to exchange it!). I also scout out potential “quiet” spots if they are needed and make sure everyone sees where the lost and found is located! We usually go on Saturday and/or Sunday too because that is when many of the celebrity photo op’s and other events are. Saturday is usually the most crowded day so if that’s the only day you can go, I suggest downloading a map of the venue if it is available. Admission for kids is often free with a paid adult admission so that is always something to check! 7. What to Bring – I bring a backpack with an iPad, portable charger, ear plugs (or headset), Advil, sunglasses (it helps mute visual overstimulation with one of my kids) and comfort items. I am also the pack animal for any costume pieces my kids do not wish to wear any longer and purchases they might have made. Some convention centers have lockers available to rent which might be very beneficial! 8. Food – consider bringing lunch or at least enough snacks to handle “hangry” kids. I have operated on the assumption that I will buy lunch for everyone only to find out that lines for food were long and slow (and you have likely stood in a few lines by that time!). The food itself is typically stadium food – and they might not have ranch dressing, which is something that spells disaster in my family! 9. Don’t Overstay – I know the signs of when my kids are crossing over into the meltdown zone and I try to leave before that happens. If I can’t, then we’ll find a quiet area away from the main hall to have some chill out time or let them play around! Cosplay and meeting new friends is fun! 10. 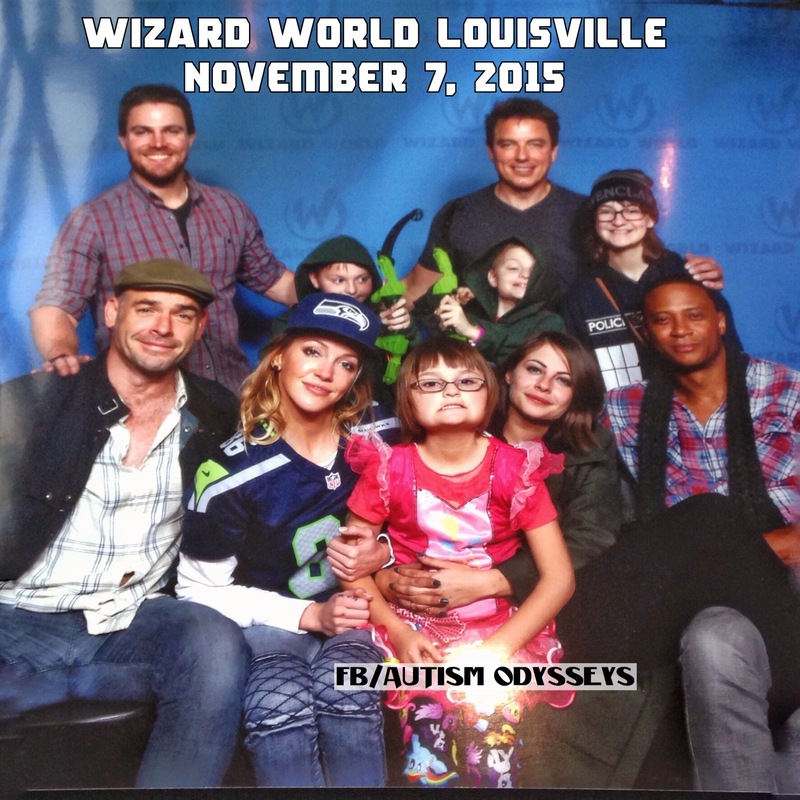 Photo Ops – these can be an important part of the convention experience. Our average waiting time has been 25 minutes and once they start, it goes FAST! You don’t have a chance to talk to the celebs-you take the picture and they whisk you out of there! I have discovered the best chance of talking to a celeb is the autograph opportunity (which is another line, and again, make sure you have the correct ticket / coupon etc so you don’t get denied after standing in line). The better run conventions have people checking to make sure you have the correct items! I would love to hear other tips you might have that I didn’t cover! Each event we go to, I learn something new so I will update this periodically with more information. Our next convention is Lexington Comic Convention and we are very excited! Friday was definitely the best night to go for the last one we attended (RI) – It was not crowded at all. I’m still glad we opted for the Friday ticket too. WE attended Shore Leave in Baltimore two years ago and NY ComicCon the year before that. Both were very well organized. Yes of course there was waiting and crowds but we were ready for that. They really knew what they were doing and so very organized. I would definitely do either again and skip RI. Organization makes a huge difference – we went to one over the summer that was not well run AT all. 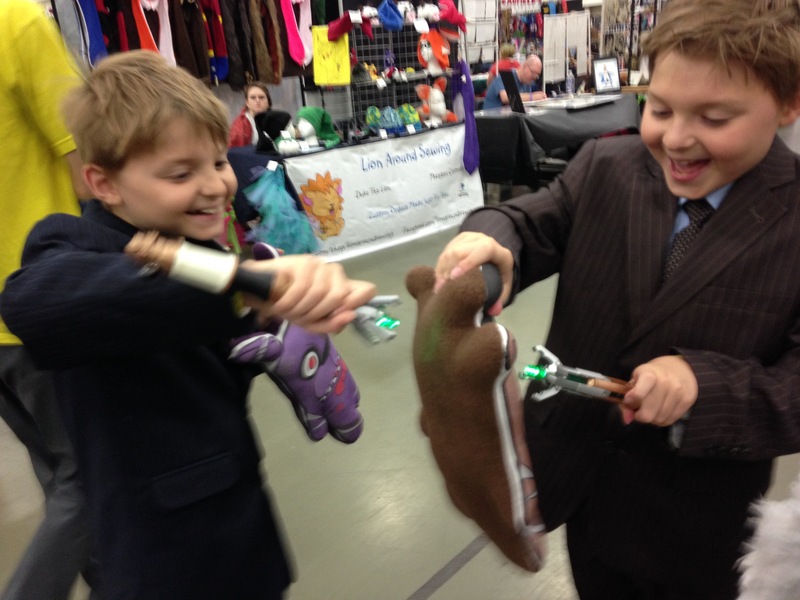 Great and helpful post for parents hoping to attend their first con with kids. Your children look awesome in all their pictures. These pictures are so precious! 🙂 My brother has Asperger’s and he had some sensory problems that ended up being better the older he got! 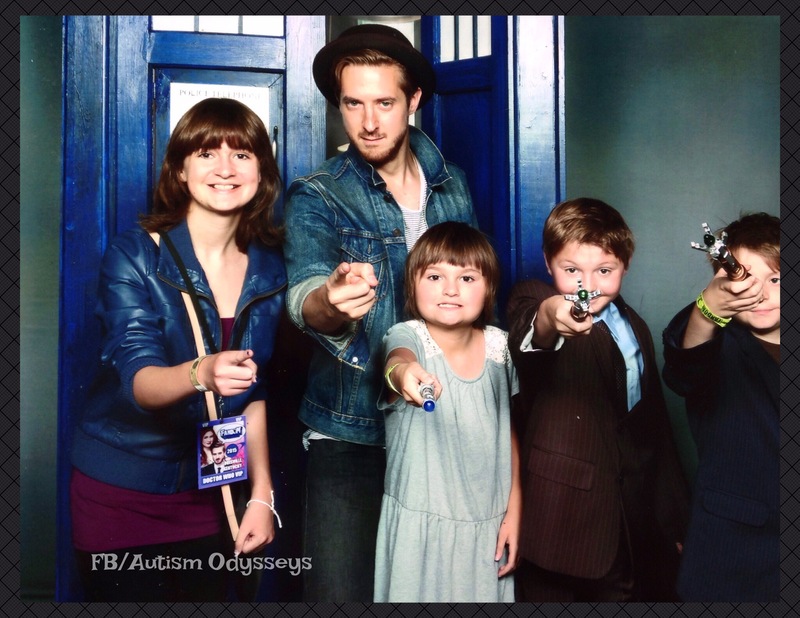 This makes a huge difference in what events he could attend when he was younger. This is a great post! Thank you! The sensory issues have definitely gotten better as my kids got older! These are all really fantastic tips! We took our son to his first con and he was okay as long as he was hidden in the stroller. Next time I think we might forgo the stroller to help him face his fears but I won’t push him to see cosplayers or sit in any panels. I know that is too much. I might bring his earmuffs because he feels a bit less overwhelmed when he has them. I totally agree with going to smaller cons! We have a yearly Geek Meet here that I am talking him to and there is be cosplayers there but I think with all of the other fun there he will be so busy that they might not bother him.